In November 2016, Britain borrowed £192.2 billion according to Bank of England data, up 10.8% on 2015. A huge £66.7 billion of this was spent on credit cards. Despite experts believing that this borrowing cannot be maintained, estimates from The Office for Budget Responsibility (OBR) predict that our household spend will reach £49.6 billion more than we earn by 2021. So what impact is our spending having on our future pension plans? True Potential Investor, a provider of personal pensions, suggests that our spending now could be severely limiting how comfortable we are in later life. 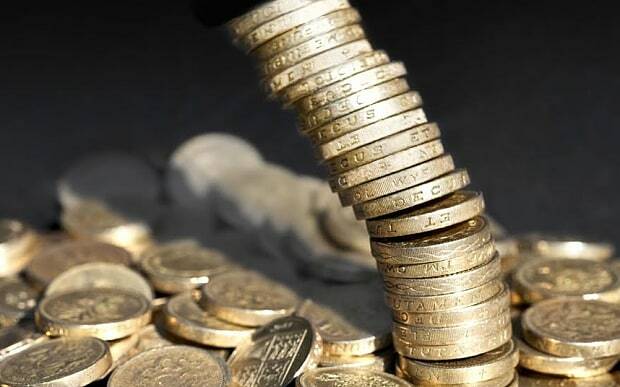 Research carried out by True Potential Investor and published in their Tackling The Savings Gap Consumer Savings and Debt Data Q3 2016 report suggests that many people believe they will retire with debt. 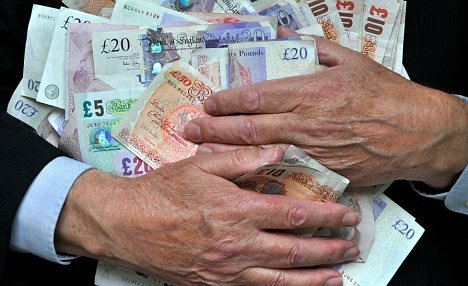 At 55, UK savers can access 25% of their pension pot tax-free. A fifth of respondents said they would use this sum to clear debt. Likewise, 42% of savers said that they would use an unexpected £1,000 windfall to pay off debts. 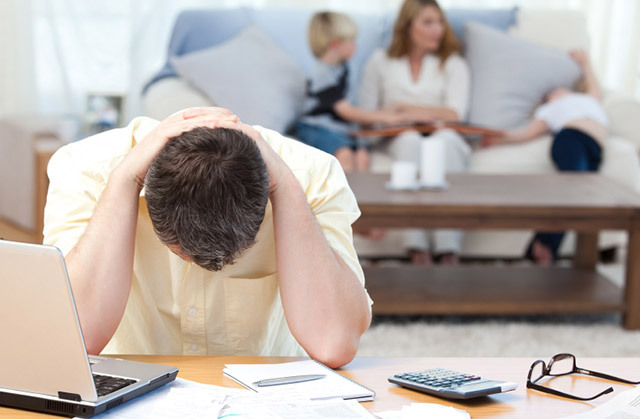 Having unpaid debt causes a great deal of stress. 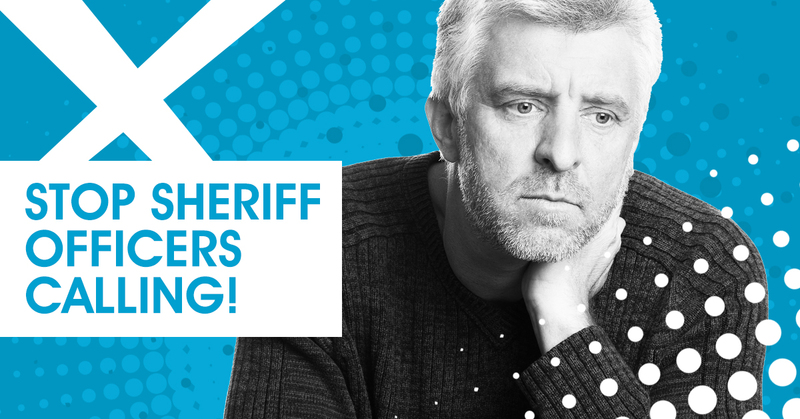 This stress can be made worse if you know you are expecting a visit from a Sheriff Officer about your debt. However, some of that stress can be eased by understanding a bit more about who Sheriff Officers are and the powers they hold. This article will explain more about Sheriff Officers and what they can and can’t do. It will also tell you where you can get free help to deal with Sheriff Officers. Who are Sheriff Officers and who do they work for? Individuals, companies, solicitors, local authorities and government departments can go to the Sheriff Court to obtain court orders for things such as eviction, debt collection and property disputes. Sheriff Officers are officers of the Sheriff Court and they have the power to enforce court orders. They are engaged by the person or organisation that has obtained the court order to enforce it on their behalf. There are lots of firms of Sheriff Officers in Scotland. You may have heard of some of the bigger names such as Scott and Co and Stirling Park. Sheriff Officers can also be self employed. What powers do Sheriff Officers have to collect debt? Councils may engage Sheriff Officers to enforce court orders to collect council tax, HMRC tax arrears, non domestic rates, housing benefit overpayment or former tenant arrears. Companies may engage them to collect unpaid consumer debt. Sheriff Officers act on behalf of the creditor (the person, organisation or business that is owed money). Because they are officers of the Sheriff Court, Sheriff Officers have considerable powers to enforce court orders. However, their official status also means that what they can and can’t do – and can and can’t charge – is strictly regulated. Sheriff Officers have the authority to negotiate with the person who owes the money to put a repayment plan in place. They can also request information such as employer details, National Insurance number and bank account details to help them with this. If a repayment plan is not agreed and if the creditor obtains a formal charge for payment from the Sheriff Court, Sheriff Officers have further powers to help them collect the debt that is owed. Just about everyone is affected on some level by Greece’s financial woes, and if you want to continue to grow your financial education, you have to stop and understand exactly why Greece is in such a bad financial state. Here are a few things that you need to know about Greece’s financial problems in a nutshell. First off, there are serious consequences in play for Greece. The IMF (International Monetary Fund) has offered another bailout, but it comes at a price: other countries in the eurozone must agree to debt relief. Considering that these are the same people that Greece owes right now, this is a tough pill to swallow. Greece’s leaders met with their credits in Brussels back on July 13th, trying to come up with solutions to stay in the EU. 19 nations form the basis of the European Union, and all of these countries are running on a single currency. The zone is monitored closely by the European Central Bank, but each country gets to handle their own budget and tax policy. This can have some negative consequences, like the consequences that we’re seeing play out in Greece right now. The problem here is that Greece is spending a lot more money than what they’re making. This means that Greece has to figure out how to get in more money, trim down expenses, and get things back in order for the good of the people. But here’s an interesting question: what if Greece just decided to leave the EU entirely? Would that make everything go away? Clearly, there is no clean getaway for Greece. If Greece leaves the EU, European officials have created safeguards that can keep the collapse from affect other nations. Greece would have total financial control over its country again, something that many long for. 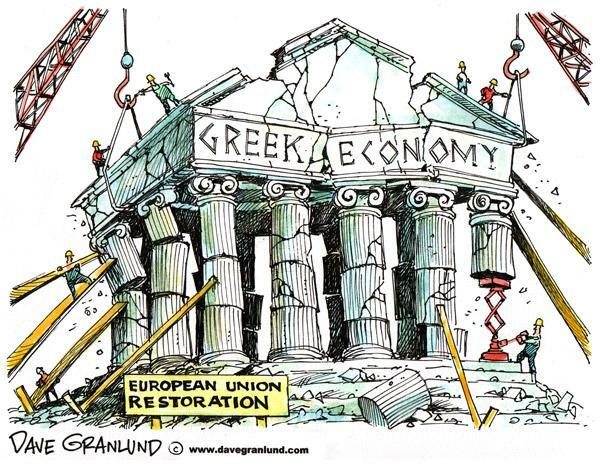 Yet a united Europe is something that far too many people believe is necessary for the good of the entire European Union, so Greece pulling the dreaded “Grexit” does not sound likely. Default is a part of economics, and an even bigger part of the free market. When money is borrowed from a country, that country giving out the money has to look at whether or not it’s likely that Greece will be able to make good on their debts. Unfortunately, the island nation does not have a good track record of being able to handle their debts. No matter how closely you monitor your finances, one misstep will easily lead you to credit ruin. Not only will it make a mess out of your future plans regarding money, but it will also lessen your purchasing power as a consumer. Let us say that you are applying for a car or home loan but you have not yet had a chance to build a glowing credit score. Although there is still a chance for your loan to be approved, you will be given lesser privileges. As compared to another person applying for the same loan with a better credit score, you might be given a higher interest rate or not so borrower friendly terms for the loan. Your loan application may even be simply rejected. Another instance when having bad credit will not do you any favours at all is when you are applying for a debt consolidation loan. 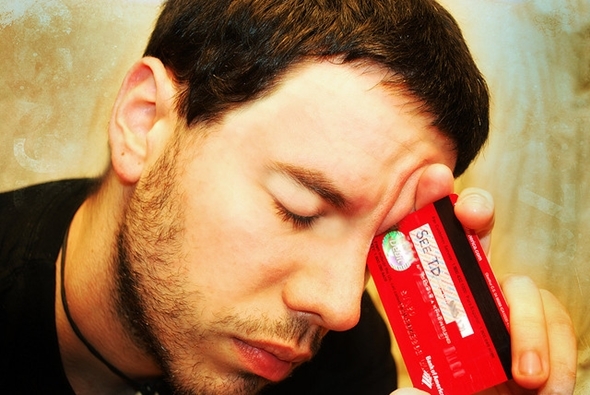 Let us suppose that you have incurred debts with three different credit card providers. There are a couple of solutions that you can go for. First, you can apply for a debt consolidation loan. For this, you will basically be borrowing money and use it to pay for your outstanding debt. It might sound like a less than perfect solution, but given the fact that you will only have one big loan to pay rather than several loans where the interest rates can easily pile up, it could be a way out of your debts. However, is there such a thing as a loan debt consolidation with bad credit? There might be a few creditors who specifically offer loans for those who have bad credit, but you need to check on the interest rates first. It is quite easy to fall into the debt trap wherein you are taking on one loan after another – and find out later on that you are in way too deep. Debt financing involves the funding of investments or commercial ventures with money that has been borrowed from an external source. Exactly what the cash is used for depends on the borrower, but it is often used to fund investment portfolios, start-up companies or the expansion plans of existing companies. In the majority of instances, the borrower will need to provide collateral for the loan, and the principal sum – along with the agreed rate of interest – will need to be repaid in instalments. But what are the advantages associated with such a financial arrangement? And are there any reasons to be cautious when committing the future of your business or investment portfolio to a long-term loan? Stay in Control: You can retain full ownership of your business without the need to give away an equity stake in return for capital. Keep All Your Profits: This form of financing does not require you to commit any of your future earnings to the lender, so you get to keep 100 percent of your profits. A Limited Commitment: This type of loan always has a fixed term, after which you are free and clear of obligations. Once you have repaid the finance in full, your company is no longer beholding to a third party. Tax Deductible: The interest you pay on finance is tax-deductible, which can help to limit your business’ total tax liabilities. Allows More Accurate Financial Planning: Unlike other ways of raising finance, this method gives you a clear picture of what your financial commitments are for the duration of the loan, so you can budget your financial affairs more accurately. Simple Administration: Whereas the paperwork involved in administering equity financing arrangements can be complex, financing through debt is usually simple. Instead of issuing shares, paying dividends and dealing with various stakeholders, your only commitment is to make the monthly repayments. Higher Costs: Compared to other ways of raising finance, taking on debt will raise the break-even point of your business. Collateral is usually required: Creditors will usually insist on some form of collateral as security for your loan, which may require you to risk personal assets of your own. It can be so difficult if a loved one is in debt. You might desperately want to help them, but unless they come and ask you for help it is difficult to do anything. They may feel that you are criticising them and interfering and until they come and ask, it is best to just leave well alone. If you try to help, then it may just break down your relationship with them. In fact, even if they do ask for help, it may be wise to direct them to someone else. Even if they have asked for debt management advice you may find that things you suggest do not go down well or may sound like you are being critical. This means, that it might be better for you to direct them elsewhere for help. It might be better to suggest that they go to a debt management charity, for example, for help. These charities provide free help and advice but they will be unbiased. They will not charge anything for the advice that they are giving either, which means that there are no extra costs to pay. There are places that you can go which charge for giving advice. It may be worth paying for this, if they have specific knowledge which could help. The best thing that you can do as a parent is to be supportive. Praise them for anything that they have done which is a positive move towards getting out of debt and do everything you can to help. There is one thing, that it can be tempting to do that will not help though and that is to give them money. It may seem like the obvious solution to their debt problem; to pay it off for them or give them some money towards it but it is not. The reason for this is that they will never learn fully how bad it is to get in debt and how hard it is to pay it back. They will also not get the satisfaction of paying it back by themselves. It is important to allow them to do this. If you pay back the debt, they will not know how hard it is to get out of debt and they will be more likely to get in to debt again. If they have worked hard to get out of debt, they will not want to have to do it again.